Gouda Takeo is a freshman in high school. (Both estimates) Weight: 120kg, Height: 2 meters. He spends his days peacefully with his super-popular-with-girls, yet insensitive childhood friend, Sunakawa. 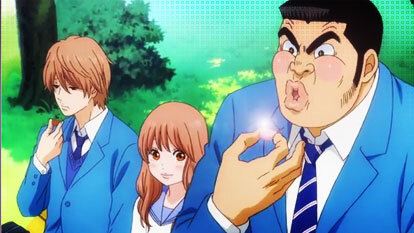 One morning, on the train to school, Takeo saves a girl, Yamato, from being molested by a pervert. Could this be the beginning of spring for Takeo?